Social vulnerability refers to the resilience of communities when confronted by external stresses on human health, stresses such as natural or human-caused disasters, or disease outbreaks. Reducing social vulnerability can decrease both human suffering and economic loss. 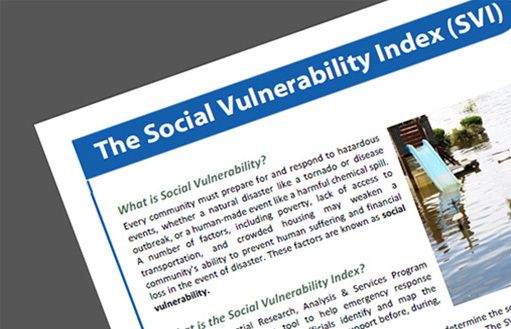 CDC's Social Vulnerability Index uses 15 U.S. census variables at tract level to help local officials identify communities that may need support in preparing for hazards; or recovering from disaster. The Geospatial Research, Analysis, and Services Program (GRASP) created and maintains CDC’s Social Vulnerability Index. Contact the SVI Coordinator with comments or questions. Learn about Social Vulnerability, the SVI, and its uses. 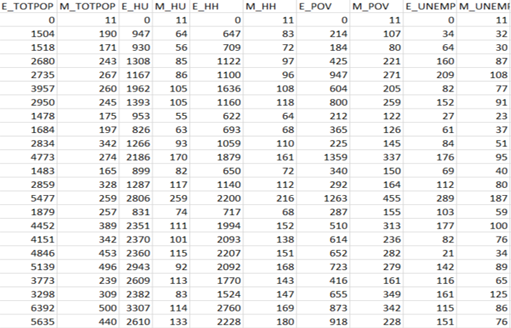 Download 2016, 2014, 2010, or 2000 SVI data and geoprocessing tools. 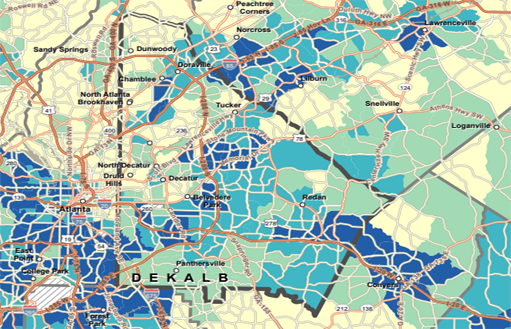 View, save, and print SVI maps showing overall social vulnerability and the four themes at the census tract level for any county. 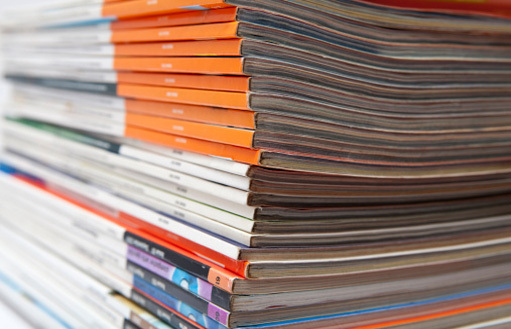 Explore other SVI-related articles and materials produced by the CDC or our partners.